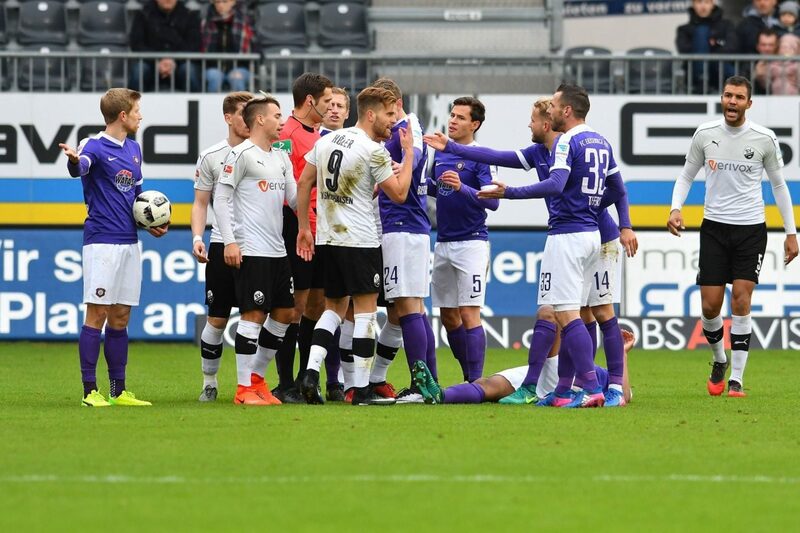 In the seventh round of the German Bundesliga II we will have the clash between the formations of the Aue and the Sandhausen both formations are in the tail of the league table not starting in the best form this second division of German soccer. However Aue are in a good sequence in the last few days trying to put themselves in a more favorable position after a horrible start until the fourth day. Sandhausen have not yet won this league and in this seventh round is looking for their first win. The Aue have six points in this league seven points being at the moment in the fourteenth position of the German Bundesliga II. In all, this team has two wins, a draw and three defeats with eight goals scored and nine goals conceded. To play in his own stronghold this formation of the Aue has a tie and a victory having tied before the Magdeburg and won the St. Pauli by three balls to one. The Aue come from two consecutive wins beating St. Pauli and in the last round, away from home the Duisburg team by two balls to one. Highlight for these two victories where the Aue won and it happened more 2.5 goals and both formations finished to mark. The Sandhausen come to this meeting in seventeenth position of the Bundesliga II with only two points conquered. Sandhausen alongside Magdeburg and Duisburg are the only teams that have yet to win in this league. Sandhausen come to this game with two draws and four defeats with just two goals against the ten already suffered. Playing away from home this team have a draw and two defeats with two goals scored and five conceded, being curious that just scored out in this edition of Bundesliga II. Sandhausen comes from a two-goal loss to zero against the Cologne in a game played in their own stadium. In a game between two teams from the bottom half of the table I believe that the Aue can prolong its good sequence winning for the third consecutive time believing that there will be goals in this game.